Now that Tax-Free Weekend is behind us, it’s starting to sink in that school will be starting in just two weeks. Parents are breathing a sigh of relief, and kids are determined to cram as much fun into their remaining free days. Dr. Angela Ganjoor, a family dentist in Celina, TX, encourages parents to start their children’s school year right with a dental checkup. In the meantime, kids will love the Party Pal Musical Animal workshop held on August 22nd, 2014 at the nearby Frisco Arts Center (details here). 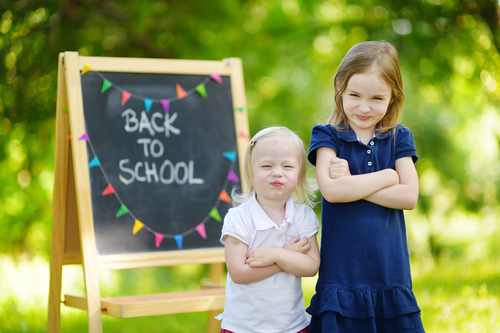 Sure, choosing a new outfit for the first day of school is more fun than going to the dentist, but that doesn’t make dental checkups any less important. Parents, take note: Several studies have confirmed that children who have poor oral health miss more days of school, have poorer academic performance, and have lower self-esteem than those who have healthy teeth and gums. As you can imagine, this has consequences for the entire family, as parents must often miss work as a result, and the need for frequent dental work can be a drain on household finances. It’s not enough to schedule professional teeth cleaning once every six months. Your child—your whole family, in fact—must be dedicated to their oral hygiene regimen. Unless otherwise instructed, everyone in your family should brush at least two times daily, spending two minutes each session. Teach your child the proper way to use dental floss and encourage flossing once daily. We love to hear from parents who provide disposable toothbrushes for their children to use at school; at the very least, kids should rinse their mouth with water after eating. We treat many parents who help get kids excited about school by letting them pick out “extras” for their backpacks, a cool backpack, maybe some swag for their locker. Now is the perfect time to let your child or teen pick out a new toothbrush. Even dentists love extras! During your child’s dental exam, Dr. Ganjoor may recommend fluoride treatment or dental sealants for added protection against tooth decay.